Both Apache and Palo Alto Networks uses x509 pem/crt/cer certificate files for its configurations. You will follow these steps to copy, move and import your files from Apache to Palo Alto Networks system. 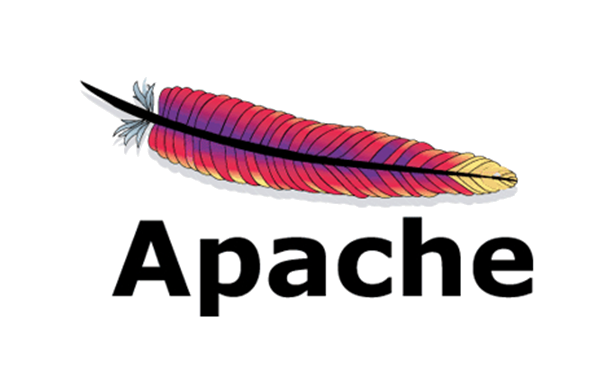 Apache systems are very customizable. The directory location and naming of the individual files needed vary depending on your personalized system. Below are generalized instructions. You will have to apply these examples to your own environment. We will start by assuming that you have already successfully installed the SSL certificate on one Apache web server. Copy these three files and back them up on a removable media USB drive or an alternate drive directory that can be accessed by the Palo Alto Networks system you are moving to. In the Import Certificate window, under Certificate Name specify a name of your choice. 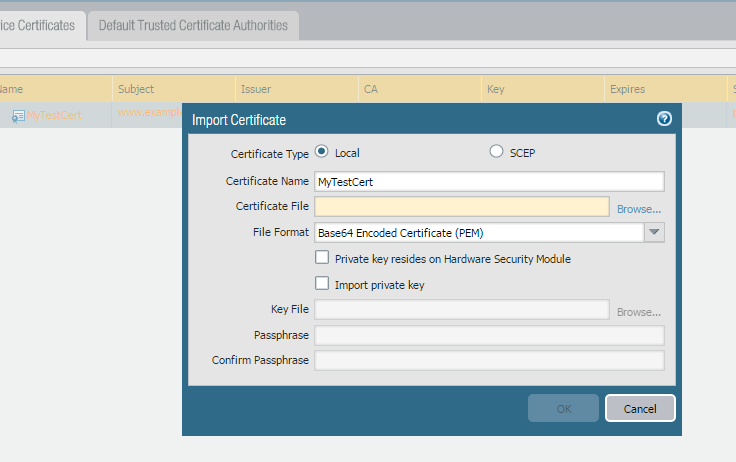 On Certificate File, click browse to specify the name and path of the public.cer SSL Certificate file you created. From the File Format drop down, make sure Base64 Encoded Certificate (PEM) is selected. Under Key File click browse to specify the location and path of your private.key file. If your private.key has a Passphrase associated with it specify this within the Passphrase and Confirm Passphrase fields.